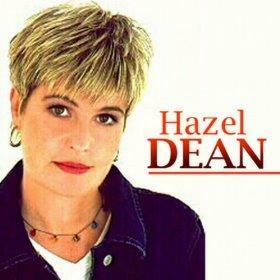 Hazell Dean (sometimes called Hazel Dean just to confuse us!) started her musical career in 1975 with the release of the single Our Day Will Come, although it failed to chart. The British pop singer released many singles throughout the 70's, although they were never commercially successful. 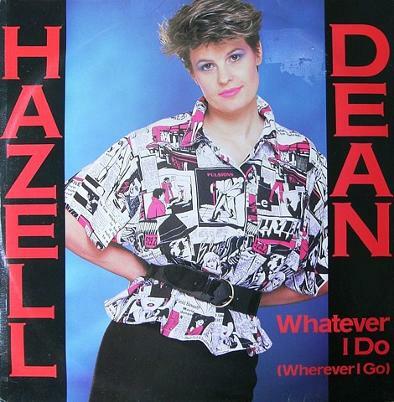 Hazell's biggest success came in the 1980s, and she became well-known as a leading Hi-NRG artist. Her three top ten hits in the 80s were Searchin' (I've Gotta Find A Man)" which reached No.6 in April 1984, "Whatever I Do (Wherever I Go)" which reached No.4 (three months later in July) and "Who's Leaving Who", which reached No.4 in the UK in 1988. The singer was always more successful with her singles, and her only album to achieve any charts success was Always (1988) which reached #38 in the UK and was produced by Stock, Aitken and Waterman. Browsing through the list of hit songs below, it seems that Hazell had a fetish for song titles that made use of brackets during the first half of the 1980s! 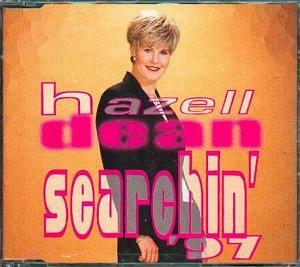 Hazell Dean has always attracted a larger gay and lesbian following, and in 2010 she came out as a Lesbian. 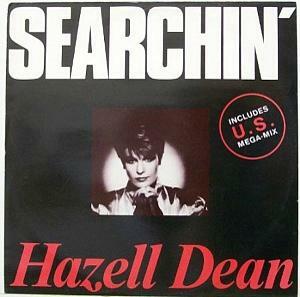 The original release of Searchin' failed to make much of an impact in the singles charts, stalling at No.76 in the UK. However, the track became very popular in gay clubs which persuaded EMI to re-issue the single in 1984. The second release became a big hit, peaking at #6. A 1997 remix single stalled at #116 in the UK charts. The song was covered by Australian girl band Young Divas who released it as a single in March 2007. 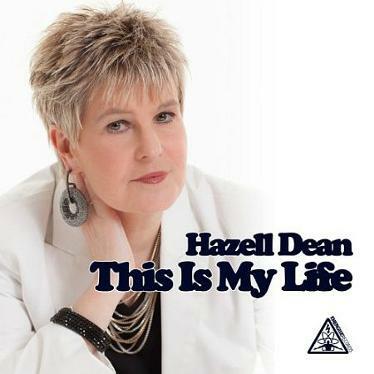 The official EMI video clip in the playlist at the top of the page features Hazell Dean performing on Top Of The Pops in 1984. She is introduced by Radio One DJ (at the time) Dave Lee Travis, who was also nicknamed DLT or the hairy cornflake, and has recently been arrested as part of Operation Yewtree. This Hi-NRG song was the follow-up to the British pop singer's first Top 40 hit Searchin' (I Gotta Find A Man) and reached #4 in the UK singles chart in July 1984. The song was produced by Stock, Aitken & Waterman (at this time they were experiencing financial troubles) and because of the song's success they were asked to produce an album which was entitled Heart First.